Former winners Benfica, PSV Eindhoven and Red Star Belgrade all booked Champions League group berths on Wednesday, joining the likes of holders Real Madrid and Premier League champions Manchester City in Thursday’s draw in Monaco. Benfica, champions in 1961 and 1962 and runners-up on five occasions, pulled out all the stops to beat PAOK Salonika of Greece 4-1 away after a lame 1-1 home draw. PSV, who beat the Portuguese in the 1988 final, knocked out BATE Borisov of Belarus 3-0 for a 6-2 aggregate canter. Red Star, the 1991 champions, meanwhile left it late as they emerged by the skin of their teeth, coming from two goals down to draw 2-2 at Salzburg of Austria and advance on away goals after a goalless home encounter. 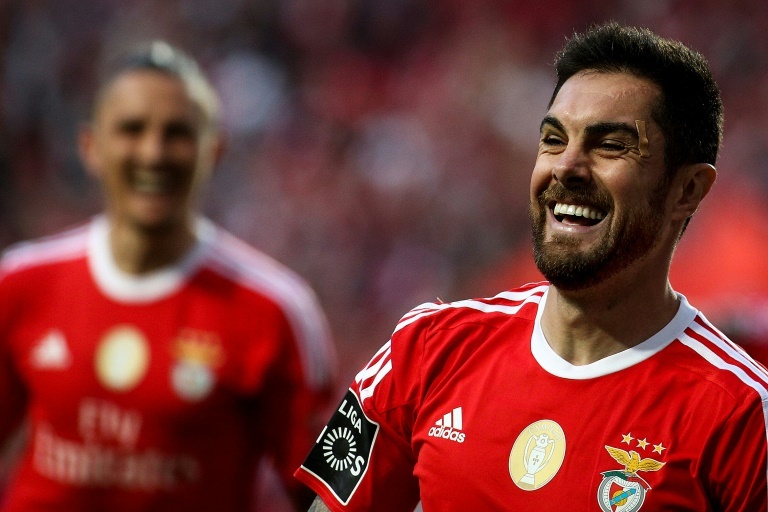 Pizzi made it 3-1 before the break and Salvio added the coup de grace with another spotkick. PSV, coached by Mark van Bommel, advanced with goals from Steven Bergwijn and Luuk de Jong in the opening period before Mexican World Cup star Hirving Chucky Lozano, whose goal saw off Germany in Russia, finished matters off for the Dutch champions. Salzburg were for their part left kicking themselves when they slid out having led with two goals from Israeli Munas Dabbur, one from the spot. Comorian striker El Fardou Ben Nabouhane scored twice in as many minutes midway through the second half to see Red Star advance to the group stage for the first time since the year after their competition win.